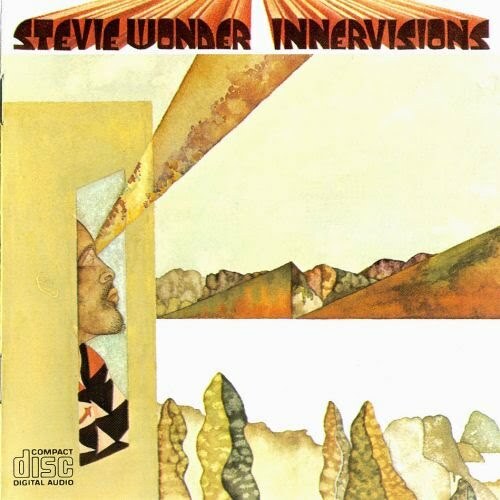 Stevie with this album, Innervisions, won several Grammy awards, including the producer and best album of the year, and is the first person to get it. 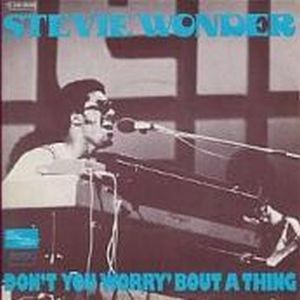 These are compositions that Stevie masterly modeling, producing, playing all instruments and cover topics very close to people. Topics that make references to drugs, spirituality and politics, remember that at that time out in the U.S. the biggest scandal to date with President Nixon. At first, the headline album it would be "Last days of Easter", referring himself commented according to "the last days of beauty, of the horrors and hypocrisy of the contemporary world, people who are uninterested in the problems of others". It was published on August 3, three days before the car accident that kept him in a coma for five days, having to remain convalescent and unable to start the disc promotion tour for several months. The problem latent about drug addiction with "Too High". With "Living For The City" shows the situation of black men in America, where poverty, racial tensions and hopes of a person of color in those 70 years in the big cities are reflected. Get the Grammy for best R&B song. "He's Misstra Know-It-All" denouncing government corruption of Nixon. 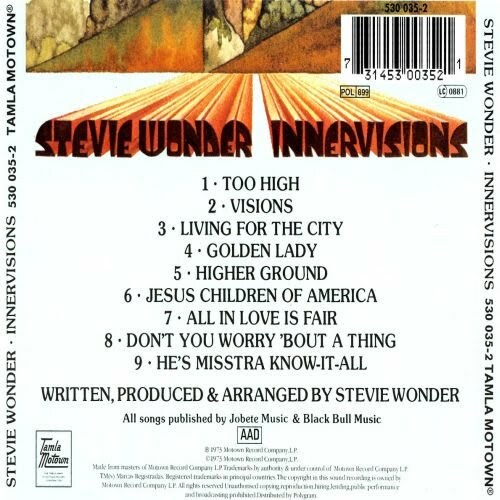 One funky continuation of "Superstition" with "Higher Ground" of spiritual content, written and recorded in just three-hour, is the perfect blend of Motown 70's with the punk, and incitement to wake up and do something to change. 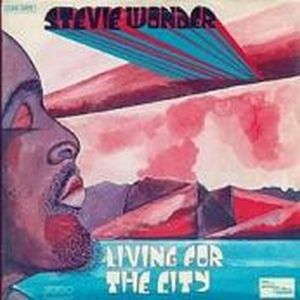 Songs where he expresses his deep religious convictions in "Jesus Children of America", criticizing the cynicism of some religious. All seasoned with other wonderful ballads like "All In Love Is Fair" or "Golden Lady", and enveloping melodies in "Visions" and the positivity and contagious "Don't You Worry 'bout a Thing" year later covered by the acid jazz band Incognito. Considered by many as one of the best albums in the history of music, the magazin Rolling Stone considered in 2003 at No. 23 on the list of the 500 best albums of all time. 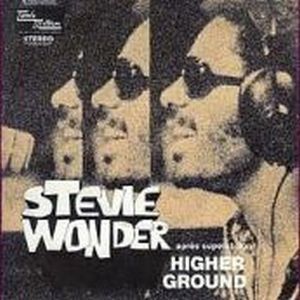 It is -of course- another masterpiece from the "master Stevie Wonder".